backplane configurations for the T2750. The Eurotherm T2750 is a high performance modular control unit that provides redundancy and capability that are unmatched in a consolidated single unit. 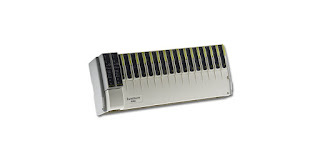 The controller backplane, of which there are several variants to accommodate the scope of I/O needed for a wide range of process applications, can be populated from an array of I/O and function modules providing a customized setup that closely matches project requirements. There is much more to learn about the highly capable T2750 Programmable Automation Controller. For more information, share your process automation and control challenges with a product application specialist, leveraging your own process knowledge and experience with their product application expertise to develop an effective solution. Programmable Automation Controller T2750 from Hile Controls of Alabama, Inc.